When wireless service provider AT&T Inc (NYSE:T) reported having accrued revenue which in spite of being profitable, was short of the projected figure, the grim outcome of drastic price-cuts took on an aura of reality. Like most of the wireless carriers, AT&T Inc (NYSE:T) also replaced its two-year contract plan with that concerned with equipment finance. While this measure caused the service fee to lower, it also cut down on subsidies and when coupled with users resorting to their own devices, the adverse impact on revenue was duly manifested. But the cloud is not all black and the proverbial silver lining is represented by the fact that there has been a substantial increase in the number of post-paid subscribers not to mention the minimizing of churn rate. 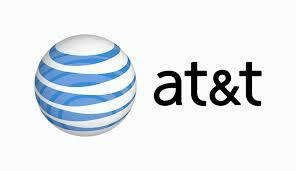 In reaction to this latest news, shares of AT&T Inc (NYSE:T) fell by 1.5% to close at $34 on Wednesday although it is a mixed bag of goodies.